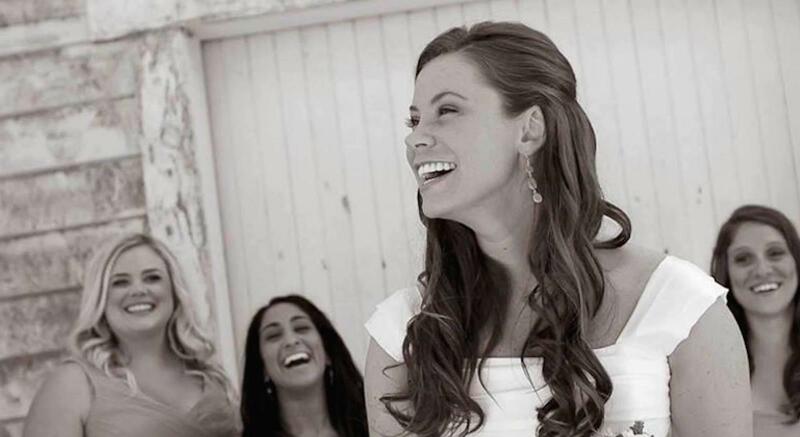 Brittany Maynard was 29 years old, and recently married, when she decided to kill herself. But Maynard’s death wasn’t quite what one would normally refer to as a “suicide.” She had terminal brain cancer — grade 4 astrocytoma or glioblastoma — a diagnosis that had left her with its own death sentence, and six months to live. She was about to enter a period of suffering and horrible seizures, while losing grasp of everything she once knew. Doctors told her in April 2014 that she only had weeks remaining during which she could be on her feet; soon she would be bedridden. But as an adventurer, Maynard didn’t heed their warnings, and continued to complete 10-mile hikes, and travel with her loved ones, well into her last weeks in October 2014. Between these excursions, she had moved with her family to Oregon, a state where physician-assisted suicide, or "Death With Dignity," was legal. During this time, she had also decided that Nov. 1 would be the day for her to die. Maynard appeared to be a confident woman. She was courageous, certain of herself and her place in life, and knew what she wanted. Perhaps it’s these qualities that led her to her decision to “die with dignity” and refresh the Death With Dignity movement across the country. There are currently three states in the U.S. that have passed Death With Dignity laws, allowing physicians to prescribe terminally ill patients with life-ending drugs. Those states are Oregon, Washington, and Vermont. During an Intelligence Squared panel in New York City Wednesday evening, debaters argued over what defines “dignity” and what it means, exactly to die with it. Dying with dignity, in Brittany Maynard’s mind, implies that taking control of her situation and dying on her own terms is the best possible solution to her diagnosis. Having control over your own death may not be “natural” per se, but it can be compassionate. Maynard made the choice because life as the way she wanted to experience it should have been full of youth, vigor, beauty, and love — not pain, suffering, and a gradual wasting away of her mind and body. But to the physicians arguing against the law, dignity meant embracing the fact that life's value wasn't only found in beauty, youth, and independence — things our society values so much. Life itself was dignity, they claimed, even if it meant becoming deteriorated, old, and dependent. Just as I support the choice of women to undergo abortions, I too support the notion that people should have an option, if they think it's best, to undergo physician-assisted suicide, thus dying on their own terms. Maynard’s choice illuminated many of the issues that are wrong with barring people from choosing a peaceful, controlled end to their lives. But before choosing a side, it’s important to also take into account the potential social implications of legalizing death with dignity everywhere. It all sounds great in theory. But what would happen if we put the idea into practice? Some doctors argue against the act, noting that many patients who long for death don’t realize they might be swayed by depression and negative thinking. People who choose to ingest a lethal drug (not Brittany Maynard specifically, but others with less aggressive diseases) may have cut their life short by months, or even years, unnecessarily. For that, the current law in Oregon requires that the patient be mentally and emotionally competent, as well as truly suffering from a terminal disease, before agreeing to undergo physician-assisted suicide. They must undergo at least two psychiatric evaluations in order to ensure they're not depressed, and thus fully capable of making such a decision. On the other side of the argument was panelist at the debate Dr. Ilora Finlay. Speaking about her mother, who wanted to undergo physician-assisted suicide after falling ill at 84, she said, “She didn’t die. She lived four more years. And in those four years, she saw her two great grandsons born. And she said they were the richest years of her life.” Finlay argues that making lethal injection legal would provide too many people with the chance to end their lives far too soon, and far too easily. That it would create false beliefs about life and death, and that the only value in life was to be young and beautiful. Apparently, this is where the issue becomes muddled. Perhaps there is no right answer, at least not yet. There will always be exceptions to the rule, such as those few people who are told they only have six months to live after being diagnosed with cancer, yet survive for 12 years. There will be the people who should have waited for what could happen, rather than having jumped to death so quickly from depression or a lack of proper mental health care. There will also be those who should have been given the option, at least, to end things on a peaceful note. If other states are able to implement effective regulations, such as the psychiatric evaluations, as well as improve on Oregon's law, then we could move one step forward in the process. The discussion about Death With Dignity should not be ceased. It’s a conversation that needs to be expanded until we’re able to implement it properly, with full regulations and guidelines, and a particular emphasis on treating depression and mental health, before jumping to assisted suicide.